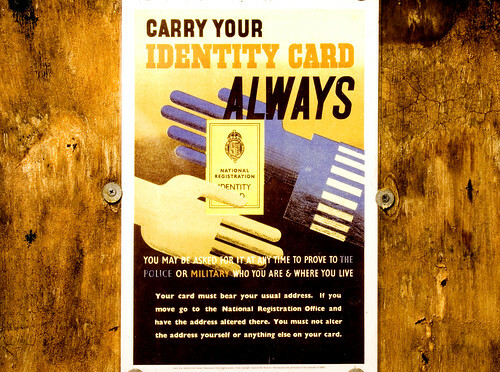 On 7th September 1939, the National Registration Act was passed, introducing identity cards. Everyone, including children, had to carry an identity (ID) card at all times to show who they were and where they lived. Identification was necessary if families got separated from each other or their house was bombed and if people were injured or killed. Each person was allocated a National Registration number and this was written in the top right-hand corner on the inside of the card. The local registration office stamped the card to make it valid. On the back of cards for children and young people under 16 was space for the parent or guardian to sign. They were responsible for looking after the ID card and producing it when required. The identity card would slot inside a black holder to protect it from any wear and tear.